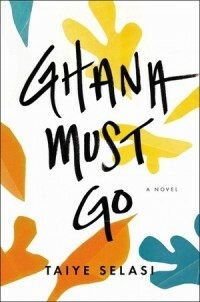 Matt Borondy, Publisher/Editor: I’m reading Ghana Must Go by Taiye Selasi, Cooked: A Natural History of Transformation by Michael Pollan, The Still Point of the Turning World by Emily Rapp, and I just finished A Tale for the Time Being by Ruth Ozeki. Jullianne Ballou, Assistant Editor: I’m reading an advance copy of Pretty Good for a Girl: Women in Bluegrass, by Murphy Hicks Henry. Hilarie Ashton, Assistant Editor: I’m reading Claire Bidwell Smith’s memoir of the deaths of her parents, The Rules of Inheritance – it’s helping me with the memoir I’m writing of my own mother, who died three months ago. I’m also reading Benoit Peeters’ Derrida, Amitav Ghosh’s In an Antique Land, Julia Alvarez’s De cómo las muchachas García perdieron el acento, and Nicholas Birns’ Theory After Theory. James Warner, Fiction Editor: Currently reading Tom Piccirilli’s The Last Kind Words, Daniel Sada’s Almost Never, and Rob Davidson’s The Farther Shore. For more, visit us on Goodreads. Posted in What We're Reading and tagged Amitav Ghosh, David Shields, Emily Rapp, Julia Alvarez, Ruth Ozeki. Bookmark the permalink. Trackbacks are closed, but you can post a comment.